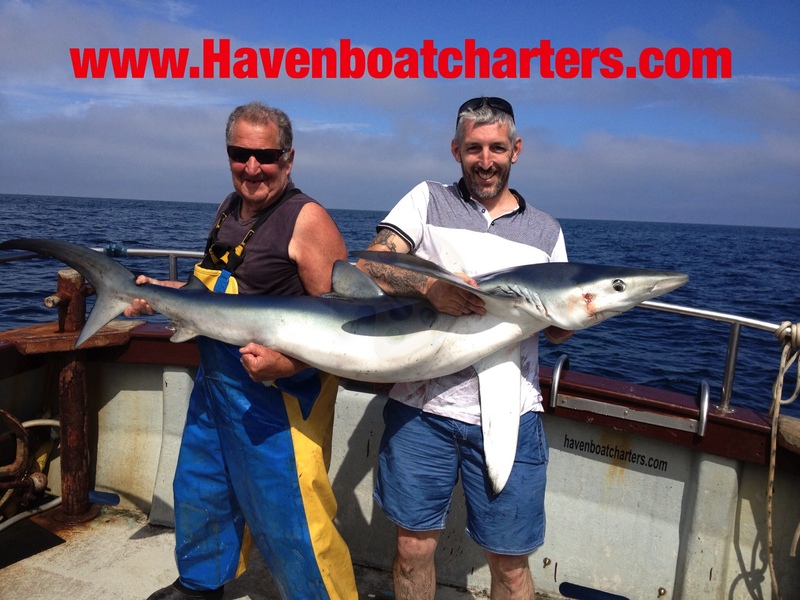 Haven Boat Charters | Fishing and sightseeing from various pick up points around Milford Haven. hopefully over these pages we can show you some of what we offer. 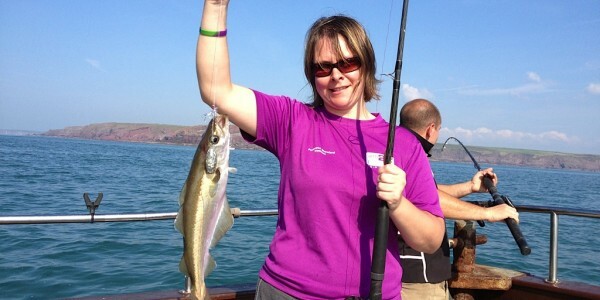 Our main business is providing fun and safe angling trips, for all ages and abilities from 12 years upwards, in the glorious surroundings of the Pembrokeshire Coastal National Park. 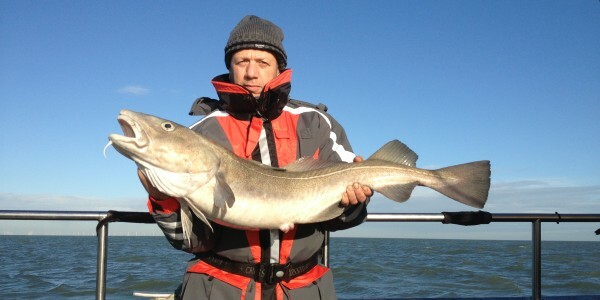 Our most popular trip is the General Fishing Trip. This is suitable for all, novices and experienced anglers alike. All tackle and equipment can be provided if needed. 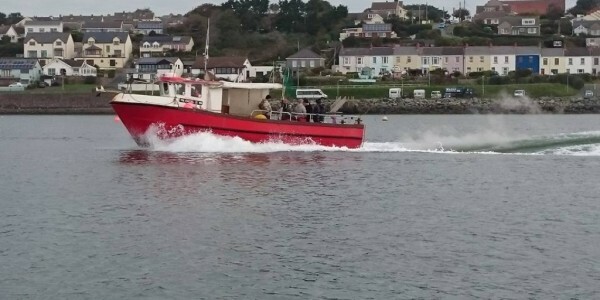 These trips are usually within the sheltered waters of the Milford Haven Waterway. 10am `till 4.30pm prices from £40pp, no need to book the full boat, discounts on full boat bookings. Dave the Skipper is always on hand to offer helpful, friendly advice. Wreck/Reef fishing trips for Bass/Pollock/Cod etc are also available, just phone to book and for availability. 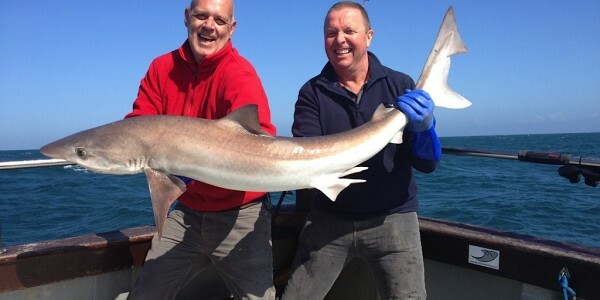 Conger/Huss/Ray fishing at anchor is another of our specialities. 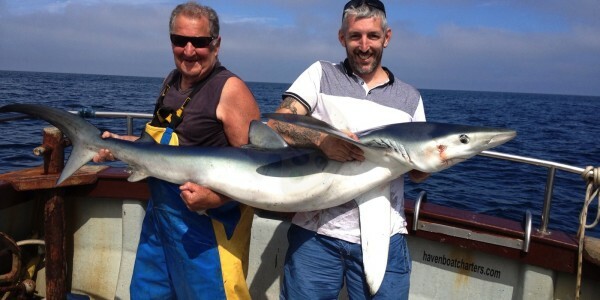 Shark fishing in the Celtic Deeps. 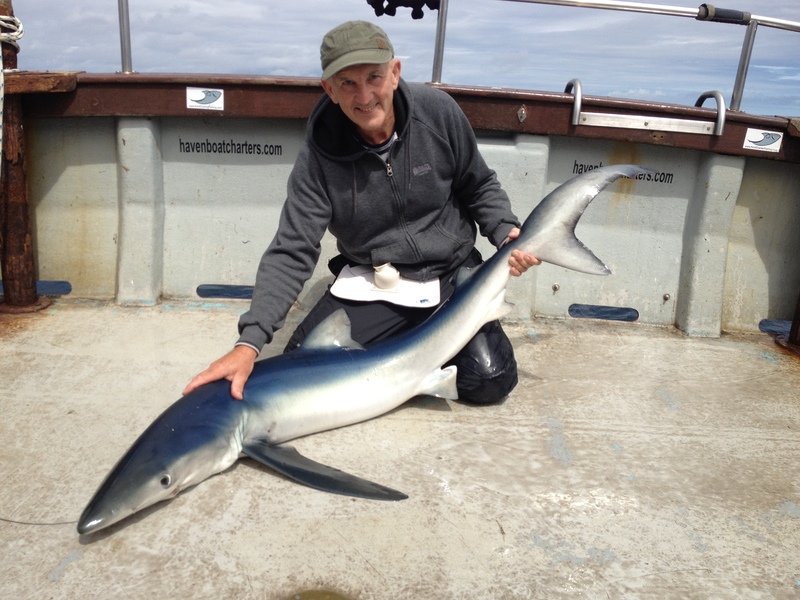 Quite possibly the best Shark fishing for Blue Sharks & Porbeagles in the UK at the moment is offshore from Milford Haven. Book early for the best tides. We will not cancel your trip, an alternative will be offered at the rate for that trip, so you may book accommodation safe in the knowledge that you will be going fishing. We are available all year and have NO tidal or Weather restrictions.